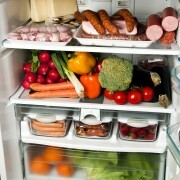 Fridge power consumption could account for nearly 10 per cent of your electricity bill! Grab a cold one and read on if you want to get matters back in hand. Big appliances consume a lot of energy, especially when they’re older models. Sure, you can try to use the dishwasher a bit less often, but you can’t really just disconnect your fridge, can you? A fridge has to be plugged in and running at all times in order for it to do its job. Here's what to know about saving energy in the kitchen. Are you looking for the perfect refrigerator? A fridge’s power consumption depends largely on the model you choose. 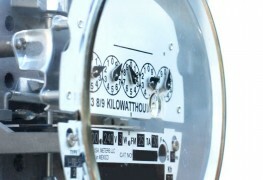 A furniture or appliance store is the place to ask about the energy usage of the different kinds. When you’re shopping around, keep in mind that you can cut down on energy consumption by eliminating some of the add-ons that make a fridge use more electricity. Remember, too, that the better designed models are more economical and environmentally friendly. One door is good, but is two better? Well, no! Restaurant-style fridges with two doors consume more energy than their single-door cousins. If you fall for a fancy two-door model, you’ll fall into some bad luck as far as your electricity bill goes. A tall glass of water with ice cubes is certainly refreshing, and it’s nice to have ice on demand. However, fridges with cold water dispensers and ice makers use more energy. It’s not for nothing that hot air balloons can fly—warm air is lighter than cold air and always tries to rise. That’s why it takes more energy to keep the freezer at the proper temperature when it’s at the top of the fridge. Models with freezer compartments on the bottom have got the fridge power consumption problem all worked out. 1. Set the dial. Whether your fridge is new or old, maintaining the proper temperature inside it is another way you can begin to save energy at home. Keep the temperature dial set between 0°C and 4°C. Naturally, a big family with lots of people is going to be opening the fridge door more often than a couple without kids. Educate the whole family about the importance of closing the door while they’re thinking about what to snack on. Make sure the gasket is clean and in good shape so the door closes properly at all times. 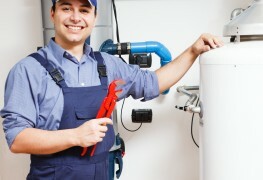 Install your fridge in a part of the kitchen that isn’t near a heat source, such as the stove and furnace vents. The hotter it is around the fridge, the harder the compressor has to work to keep things at the right temperature. New fridge models are more economical and energy-wise than the refrigerators of 10 or 15 years ago. Older models should be replaced. But changing fridges isn’t necessarily a money-saving option if your old model is less than five or six years old. Throwing it away while it’s still in good working order will just create more pollution. Since there’s no other reasonable way for us to keep food fresh and cool, we have no choice but to leave our fridges plugged in every day, year round. 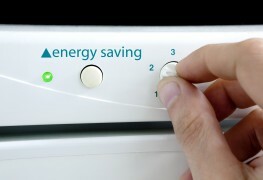 However, fridge power consumption can still be reduced, even if you decide to keep your old appliance. And when you plan to buy a new one, the professionals at the furniture store are ready to be your partners in reducing your electricity bill. *Not only is it dangerous, it may even be illegal in some provinces, such as Québec, to do your own electrical wiring. The solution: consider hiring a master electrician.